ReconArt™ offered excellent value and immediate return on investment. ReconArt as a partner demonstrated a clear and concise understanding of transaction matching. Diane Chaidez, Controller, Fiesta Insurance Franchise Corp.
Fiesta Insurance Franchise Corporation began as an independent insurance agency in Southern California in 1999. Today Fiesta operates 125 franchise storefronts that provide insurance and tax preparation services mainly to Hispanic communities within the United States. With its largest base still in California, Fiesta also has franchisees in other states with significant Hispanic populations including Florida, Texas and New York. Fiesta was performing all bank account reconciliations– including cash, check, and merchant activities – very manually. Users would key data into the Intuit QuickBooks accounting system and then attempt to match data by “ticking-and-tying” transactions and then executing General Ledger reconciliations. With only about 50 storefronts in those days (roughly 40% of what Fiesta has today), it was taking five people and approximately 36 hours per day to complete all the necessary reconciliation processes. The costs to the organization were significant and poised to grow continuously as more storefronts were added. Furthermore, it was becoming impossible for Fiesta to continue using QuickBooks as its database storage maxed out, and impractical on a cost basis. Fiesta’s business was growing – as it continues to grow today – with a constant increase in the number of franchise stores across the nation. The company was looking to automate the reconciliation of trust bank accounts that was becoming an expensive and time-consuming headache. It sought a software solution that could accept data being fed electronically from both various banks and a proprietary database system. 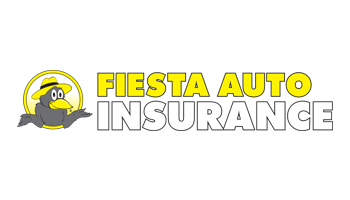 Initially, Fiesta looked for a solution to cover a large number of bank accounts representing over 100 stores, and match daily deposits from franchisees, as well as payments made out to insurance carriers. After an evaluation process, Fiesta selected ReconArt as its partner of choice. ReconArt ™ is used in Fiesta’s Head Office. The solution was implemented to automatically match data stored in Fiesta’s internally developed management information system with externally sourced data feeds from various banks including Wells Fargo, Bank of America and JPMorgan Chase. The implementation process of the software took only a few weeks, and the adoption of the product adjusted to Fiesta’s expectations completely. Users enjoy working with ReconArt, and the intuitive nature of the ReconArt™ application underlines how easy it was to adapt to new technology. Today Fiesta has been able – as a direct result of implementing ReconArt™ reconciliation software– to reduce the number of active bank accounts to just twelve. The largest (for the State of California) is processing upwards of 70,000 transactions monthly and growing. Automation of processes that were being handled manually using Excel spreadsheets and manual data input into QuickBooks. A reduction in staff time focused on manual transaction reconciliation, and the reallocation of that time to other operational activities to support Fiesta’s growth. A reduction in the number staff that get involved in account reconciliations from 5 to 4.5 despite a 2.5 increase in the number of franchise storefronts and associated transaction volumes. An extremely significant reduction of almost 95% in the actual time spent daily to complete all necessary reconciliation processes – from 36 to only 2 hours per day). Integrated exception management functionality within ReconArt™ to enable automatically and immediately identified exceptions to be resolved faster, thus providing a better and more efficient service to customers. Minimization of IT resources as the reconciliation solution is accessed in the cloud and managed by ReconArt to ensure optimal performance and security at all times. Consolidation of the company’s bank accounts with a reduction in resultant fees and associated administrative costs. For example, the company merged three California bank accounts into one. In summary, ReconArt™ started paying for itself through cost reductions immediately. Fiesta has estimated that without ReconArt™ the company would need fifteen staff in the finance function instead of the less-than-five that it has today. ReconArt™ offered excellent value and immediate return on investment. ReconArt as a partner demonstrated a clear and concise understanding of transaction matching. The modern design of the ReconArt™ solution means business users can configure new processes including data mapping and match rules with no more than Excel skills. This extreme ease-of-use makes ReconArt™ “revolutionary in the field of automating reconciliations” without IT involvement. Diane Chaidez, Controller at Fiesta Insurance Franchise Corporation.